Pelicans fans got some good news Wednesday. 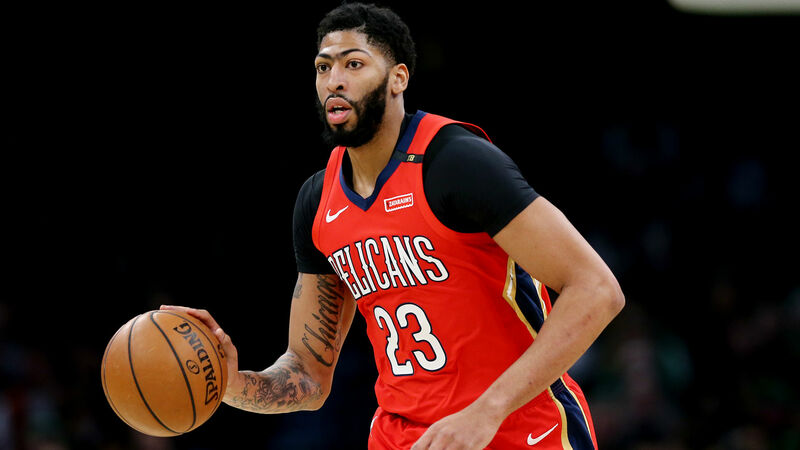 Anthony Davis' agent, Rich Paul, told ESPN the Pelicans center could be back as early as next week after missing Monday's game with a volar plate avulsion fracture on his left index finger. “It’s a better outcome than we originally feared," Paul said. After conferring with a specialists, Pelicans star Anthony Davis could return as soon as next week with finger injury and will be re-evaluated again on Friday, agent Rich Paul tells ESPN. “It’s a better outcome than we originally feared," Paul says. It was originally reported Davis could miss two to four weeks with the injury. Davis will be re-evaluated Friday and then again every subsequent 48 to 72 hours. If he were to miss the weekend he would be out for games against the Pistons on Wednesday, the Thunder on Thursday and the Spurs on Saturday. "We will proceed with caution as it pertains to Anthony," Paul told ESPN. The Pelicans play the Rockets on the road Tuesday. Davis is averaging 29.3 points, 13.3 rebounds and 2.6 blocks this season.